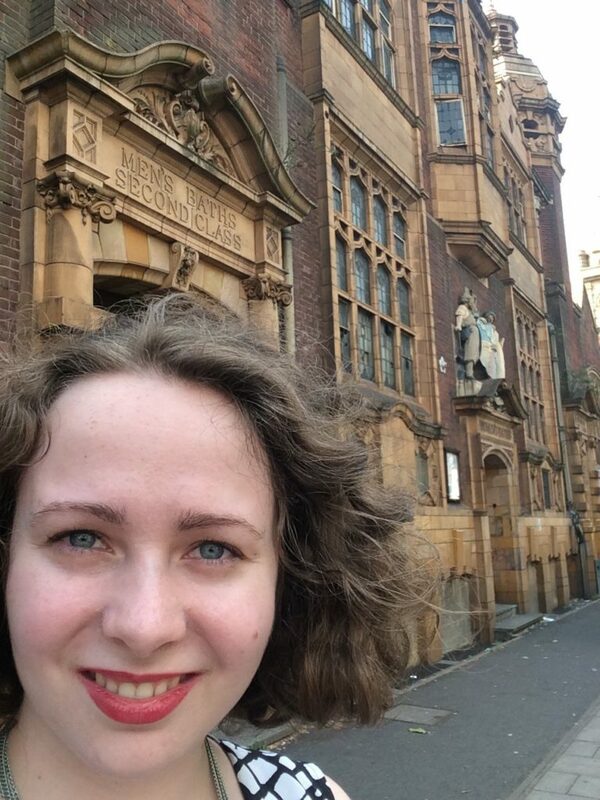 After a whirlwind few days in London meeting John Darlington and Sarah Meaker in the London office of the WMF, squeezing in a bit of research at the Wellcome Collection and the British Library, and settling into the UK, I was off to Birmingham to start research in earnest. A page from Dr. Ballard’s Report upon an Outbreak of Enteric Fever at Moseley and Balsall Heath, near Birmingham, 1873, from the Wellcome Library in London. Now I’m here, looking into the past and future of Moseley Road, one of the centres of Balsall Heath and home to a fascinating and condensed history of industry, self-advocacy, and wellness that both mirrors and tangles with the history of Birmingham overall. 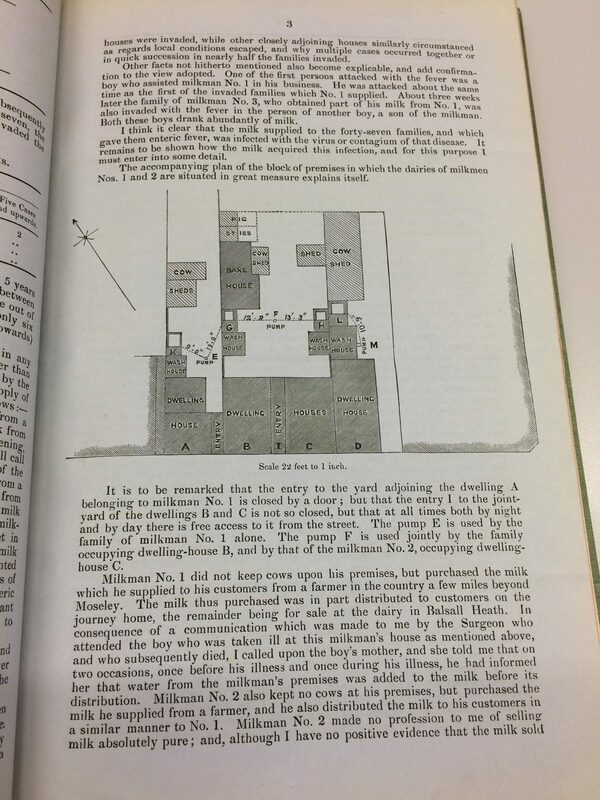 While naturally much of my research still consists of trawling through books and archival documents, it’s been a thrill to see how directly so much of it relates to the neighbourhood today. 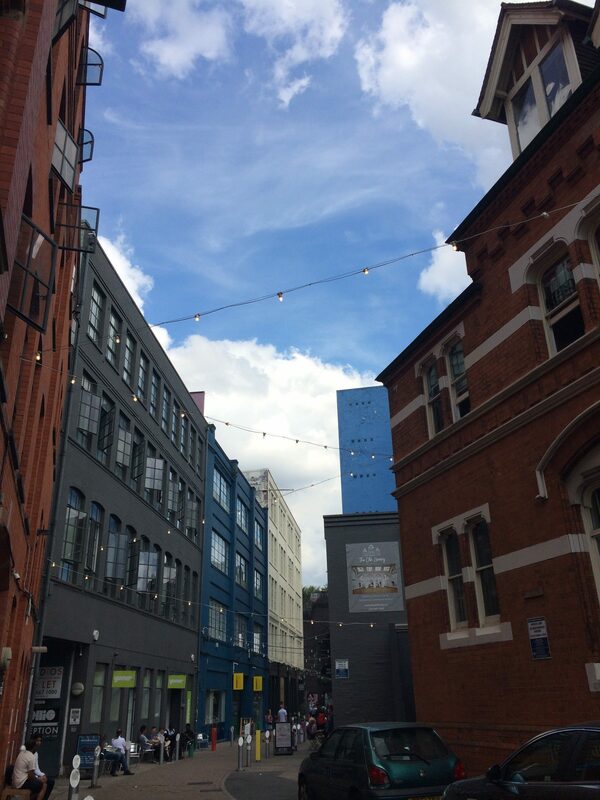 A view of the Custard Factory in Digbeth, home base to the local National Trust office as well as Joe Holyoak, author of the local neighborhood plan. And of course, the greatest delight of researching a neighbourhood is the opportunity to learn about it from the people who know it the best: those who live and work there. 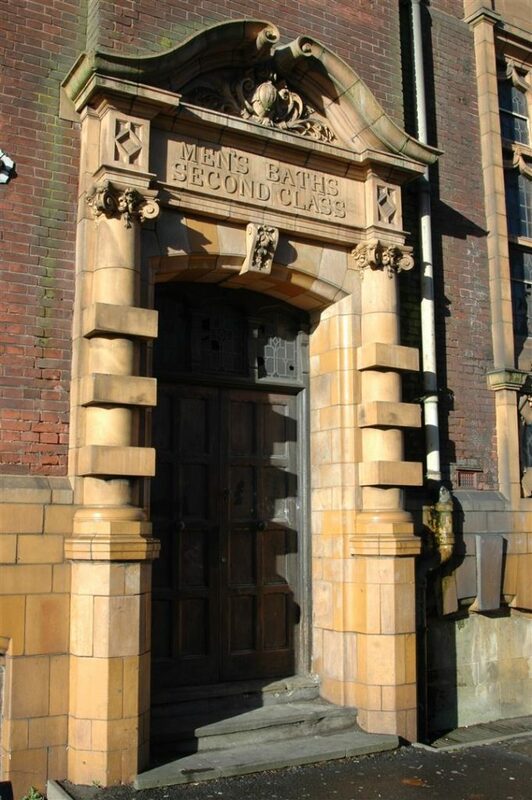 Over the past few weeks, I’ve gotten the opportunity to meet and learn from people who spend hours advocating for their buildings—Kat and Karen at the Friends of Moseley Road Baths, for example, or Hannah and Patrick at the Old Print Works—and to absorb local history in such unexpected venues as, for example, Facebook groups! In the process, I’m falling in love with the neighbourhood myself. 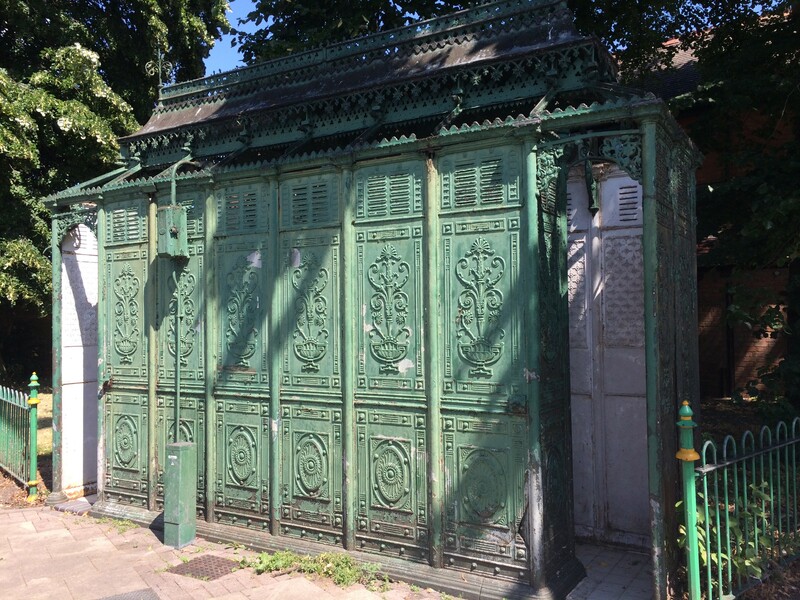 I already have a favourite building: the beautiful iron public convenience shown below. (I don’t have a picture of the inside yet—it’s a gents’!) It may be an odd favourite, but who could resist a loo this stately? !